The Back Pain Beliefs of Health Care Providers: Are We Fear-Avoidant? The purpose of this study was to survey the level of fear-avoidance beliefs for practicing general practitioners and physical therapists and to relate this to self-reported practice behaviors for patients with back pain. To this end, 60 general practitioners and 71 physical therapists were recruited. These participants completed a questionnaire including 11 items slightly revised from instruments designed to assess fear-avoidance beliefs in patients, and four items about treatment practices. The results indicated that these health care practitioners on the average generally held beliefs that are consistent with the current evidence, but there were also indications that some practitioners held beliefs reflecting fear-avoidance. More than two-thirds reported that they would advise a patient to avoid painful movements, more than one-third believed a reduction in pain is a prerequisite for return-to-work, while more than 25% reported that they believe sick leave is a good treatment for back pain. These beliefs were found to be related to reported practice behavior. Those with high levels of fear-avoidance beliefs were compared to those with low levels. 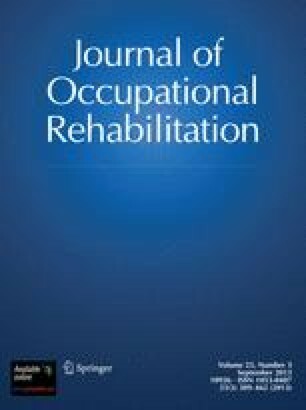 Those with high levels of fear-avoidance belief had an increased risk for believing sick leave to be a good treatment (RR = 2.0; 90%CI = 1.02–3.92), not providing good information about activities (RR = 1.7; CI = 1.19–2.45), and being uncertain about identifying patients at risk for developing persistent pain problems (RR = 1.5; 90%CI = 1.00–2.27). It is concluded that some practitioners hold beliefs reflecting fear-avoidance and that these beliefs may influence treatment practice.